Proximity to public transit and reasonably not far from down town. The apartment is well located on the fringe in a residential area, it's very quiet and peaceful and a short walk to buses and trains to the city. The owner was very helpful upon our arrival and had good information and tips for food, transport, and activities. Barcelona is a wonderful city to explore though there are a lot of tourists. You can see why the locals are somewhat weary of them if you are sensitive and respectful and show some initiative to engage in the language no matter how poor your skills you will be rewarded. Wish we could have stayed longer. The appartment has a beautiful garden and it is in a quite area. There are also free parking places around the property which are hard to find in Barcelona. The host was very nice. Location of property was convenient to the metro station. Liked the layout of the apartment. Would have liked to stayed longer to enjoy the terrace. Garden is lovely. Close to good transport. Not a noisey as the centre. Everything, especially the sunny terrace and quiet location. 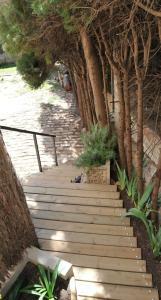 Within short walking distance of public transport. Great and clean apartment in good and quiet locality. Close to metro and bus stops. The garden was a bonus. Public parking close by. Friendly and helpful owner of the property. Beds are comfortable and apartment is well equipped. I would definitely recommend it. 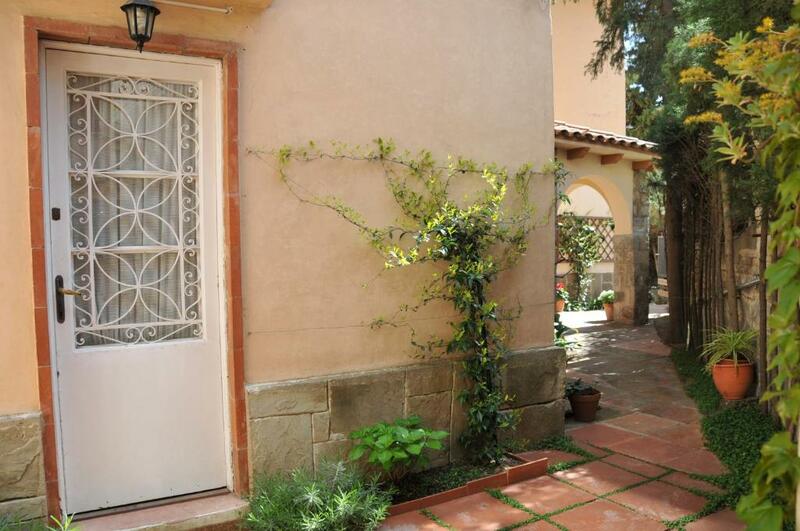 Lock in a great price for Tibidabo Apartments – rated 8.6 by recent guests! One of our top picks in Barcelona.These apartments with free Wi-Fi are located in Vall d’Hebron, in the hills above Barcelona. Penitents and Vall d'Hebron Metro Stations are both less than 10 minutes' walk away. By direct metro you can reach La Rambla in 15 minutes. 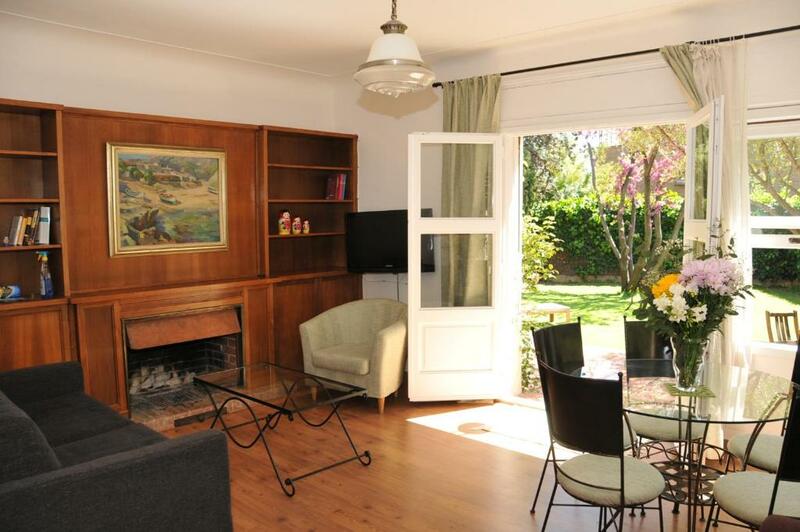 The Tibidabo Apartments are set within an old villa with a spacious garden and terrace. 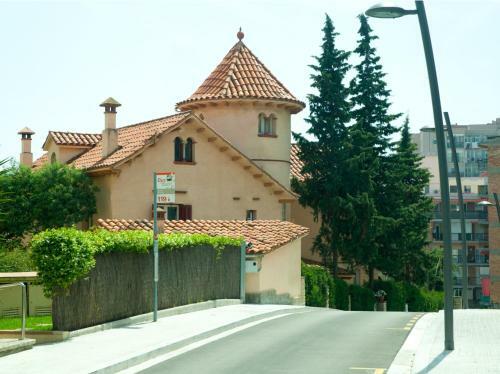 The location is convenient for access by car, with the Ronda de Dalt (B20 Ring Road) 650 feet away. Barcelona Airport is 15 minutes' drive away and there is free street parking around the apartments. The CosmoCaixa Science Museum and the Vall d’Hebron Hospital are a short drive away. 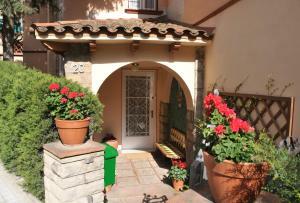 The Tibidabo Apartments are at the bottom of Mount Tibidabo, in the Sierra de Collserola. Tibidabo is famous for the beautiful Sagrat Cor Church, amusement park and spectacular views over Barcelona. When would you like to stay at Tibidabo Apartments? One-bedroom apartment with a double bed and wardrobe. 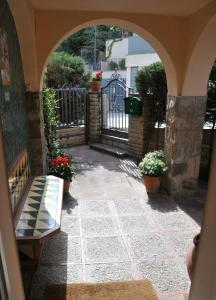 There is a furnished terrace overlooking the garden. The large lounge-diner has a TV and double sofa bed. The kitchenette has an electric hob, microwave, fridge, basin, toaster, dishes, glasses and cutlery. Two-bedroom apartment with 2 double beds and wardrobe. 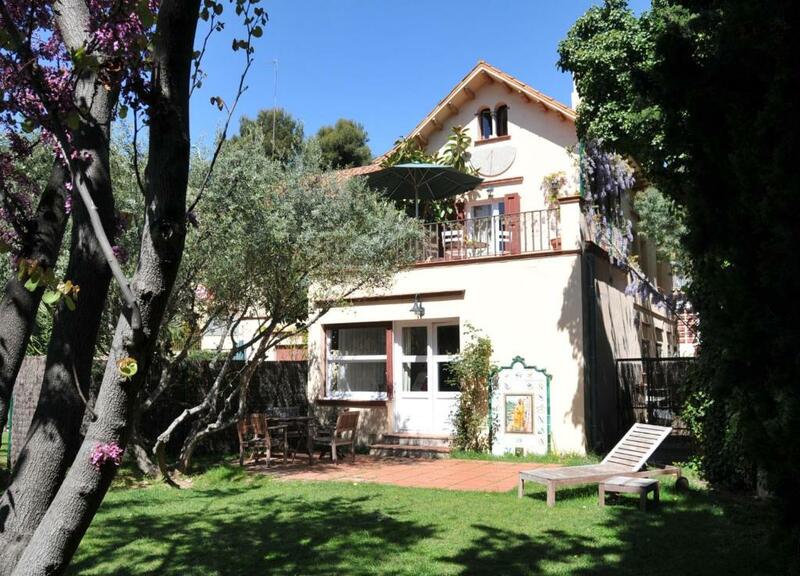 There is a furnished terrace overlooking the garden. The large lounge-diner has a TV and double sofa bed. The kitchenette has an electric hob, microwave, fridge, basin, toaster, dishes, glasses and cutlery. Extra spacious apartment with exclusive use of a 295 ft² garden. It has 1 twin bedroom and 1 double bedroom, an private bathroom with a bath, shower and small dressing room. The open plan lounge-diner has a fireplace and double sofa bed. The kitchenette has an electric hob, microwave, fridge, basin, toaster, dishes, glasses and cutlery. 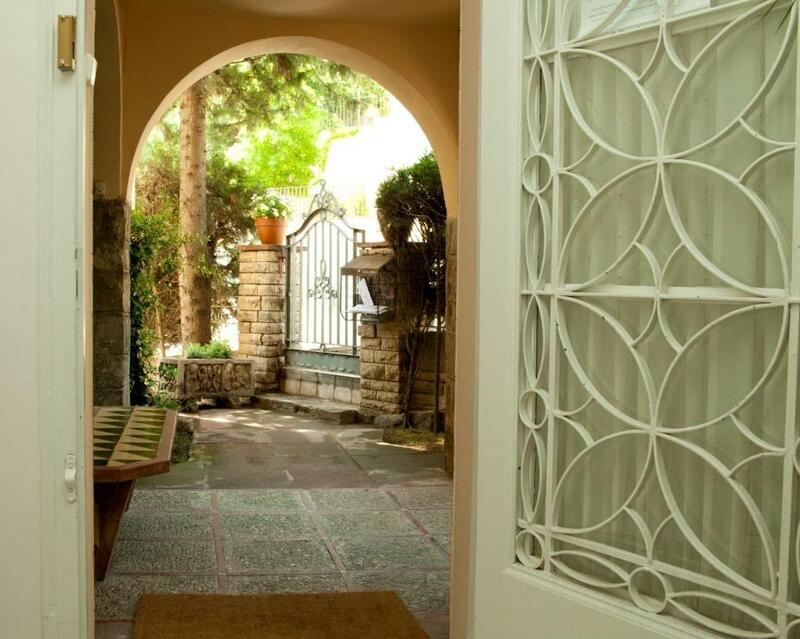 This 1-bedroom apartment offers exclusive use of a 131 ft² furnished garden. The bedroom includes a double bed and wardrobe, and the lounge-diner includes a TV and double sofa bed. The kitchenette has an electric hob, microwave and fridge, as well as a basin, toaster, dishes, glasses and cutlery. Area Info – This neighborhood is a great choice for travelers interested in monuments, architecture and city walks – Check location Great location - show map Guests loved walking around the neighborhood! 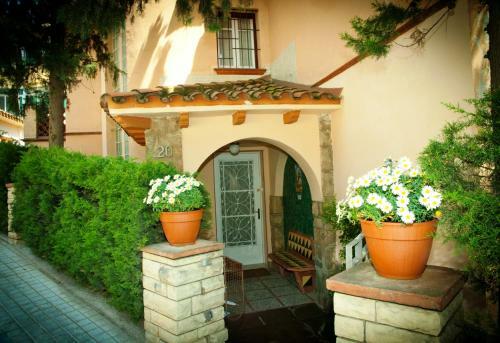 House Rules Tibidabo Apartments takes special requests – add in the next step! Tibidabo Apartments accepts these cards and reserves the right to temporarily hold an amount prior to arrival. Please inform Tibidabo Apartments of your expected arrival time in advance. You can use the Special Requests box when booking, or contact the property directly using the contact details in your confirmation. Beds very bouncy. Toilet makes a loud whine when filling. Very steep roads all around. Not so good for weak hearts and ageing legs. The property was rated at 8.5. It would barely make a 7.0. The furniture is modest. The closets need upgrade. No bath toiletry was provided. The biggest problem with the facility is that it is located on top of a hill with a steep road leading to it. It may be suitable for healthy individuals who are less than fifty years and whose BMI is less than 25. Once you left in the morning you avoid going back till the evening. Wifi didn't connect kitchen could do with more equipment decor tired. Nice and clean place to stay..David was very helpful & great host. Enjoyed our stay. Great house with beautiful view. We have cozy apartment with balcony. Everything was great. The owner, David also was very kind. Cozy, spacious & clean flat with private balcony and everything you need for a short stay. Bear in mind it's located on a hill, but within a 10 min walk from the green subway line. There's also 24h shop on a gas station nearby. Owner was really nice and helpful. We stayed for 4 nights and the rooms/bathroom weren't cleaned at any point. If this had been arranged, our stay would have been more comfortable. The location was manageable, but not ideal. The owner gave us useful information at check-in, but could have been more helpful at other times during the course of our stay. The interior design was far from perfect: the shower curtains were too short and the water splashed out of the shower cubicle onto the bathroom floor; the toilet flush was really very weak; the walls were quite thin and we could hear the noise from the street. Second bathroom shower needs attention but this wasn’t a great inconvenience as we had another excellent bathroom in the apartment. The size of apartment, access to public transport and helpfulness of David, the manager of the property. the terrace was great and big and also the architecture of the building was beautiful. They had friendly cats that are in the down stairs garden which was a bonus. Very basic, not very homely. Location is poor for sightseeing in Barcelona. On top of a hill, 15 minutes from metro which is 20 min ride...all in all adds a lot of travelling to your day. Supermarkets and cafes nearby but still have to walk up steep hill to get back to apartment. Balcony is completely shaded by tree, nice and private but no sun. Comfy bed, helpful staff on arrival. Nothing really. No supermarket that close but a very small grumble! Was an excellent base to explore and although on the edge of town was really easy to get around and we had planned on this. Really helpful into from owner and lovely apartment.